A few instagram pics from this and last week. As mentioned, i'm moving so i've unfortunately not been too active as of late. A few goodies nonetheless! If you don't follow me on instagram, well, you should - @heleneisfor. 1. 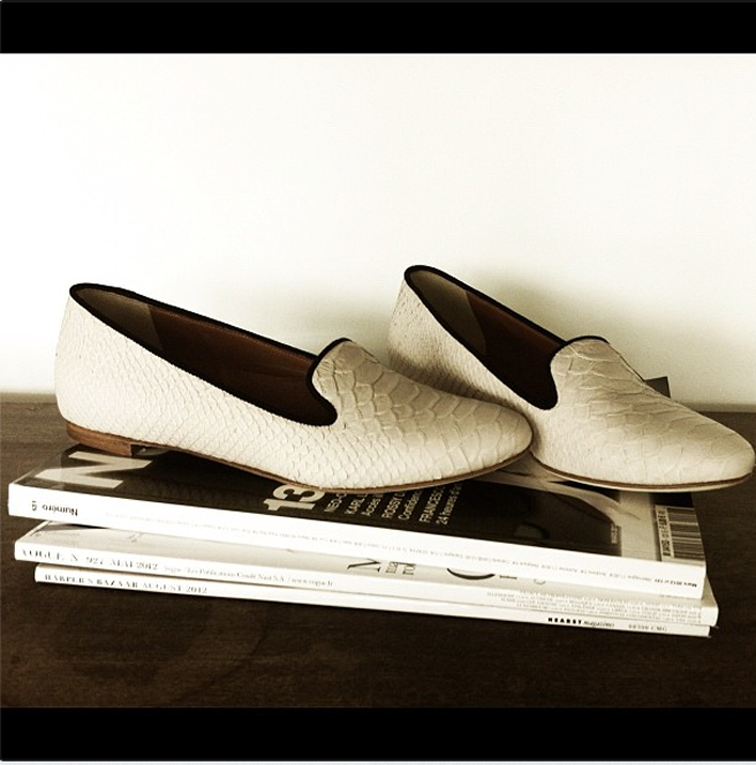 My new Leifsdottir snake-embossed slippers (they're AMAZING) - get them here. 2. My super fun new purple polka dot jeans (similar here), courtesy of my dear Jeremy, paired with my equally-as-fun astronaut sneaker wedges. 3. Having a ball at the Yankees vs. Angels game (similar t-shirt). i'm loving the loafers!! they look awesome!! 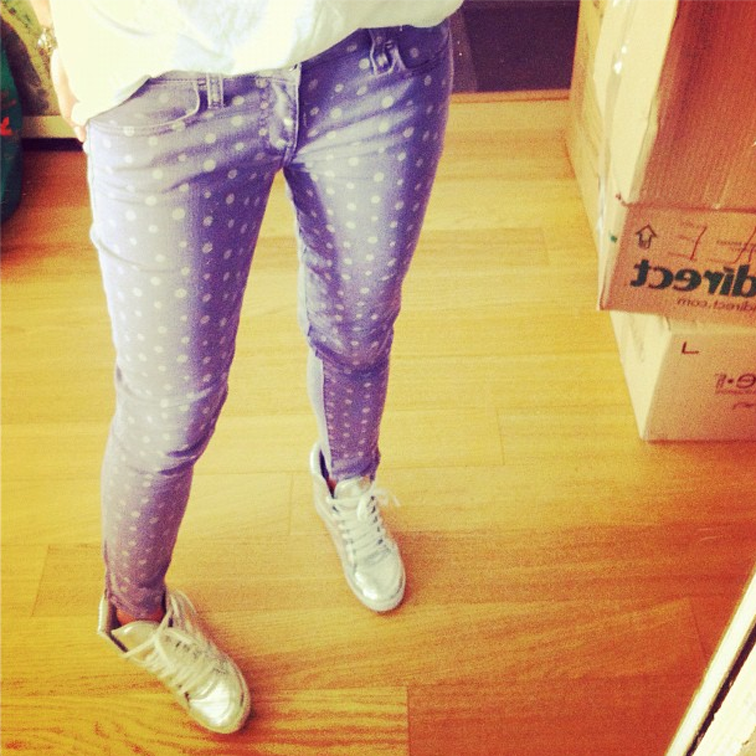 and the polka dotted jeans are really cute! You're such a cutie! Love all of these snaps and the loafers are gorgeous!! as IS the viewwwww you sent me!! No visit incentive needed but will be sharing that with nicolas lol! Sorry ddint get a sec to write back yet: had to go back to the vet with Chloe :(. love love love your new slippers!! !